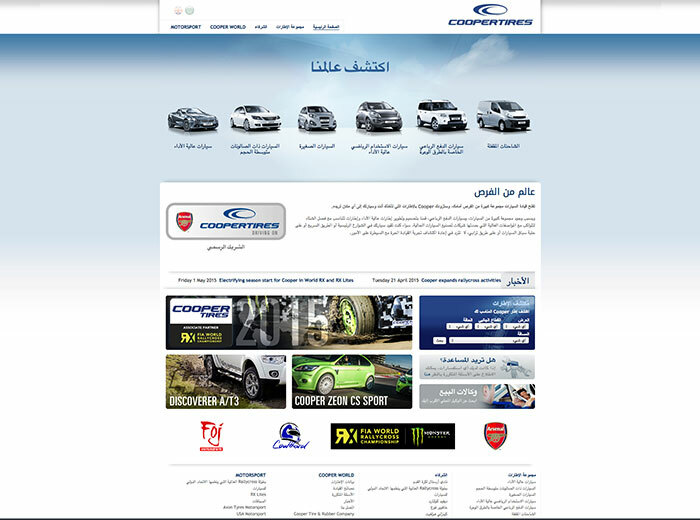 In the runup to the Dubai International Motor Show for which it is one the official tire sponsor, Cooper Tire Europe has announced the launch of its first full Arabic website, www.coopertire.me. The site is packed with content providing information about the company, its products and the dealers across the Middle East, ensuring that customers in the region have easy access to the most up-to-date information. With the launch of this site, Cooper has highlighted its commitment to the region. The new website comes with a dealer locator tab that allows customers to find their local dealer from among the eight regional dealers that the company currently has, spread across five Middle East countries. Customers can also use the information on the site to choose the tire that is perfect for their needs, depending on their vehicle, the terrain and the size needed. The product section is notable for showcasing the company’s full range of car and 4×4 tires, which have been specially designed and developed to match the performance of modern day vehicles. Cooper has established itself as one of the leading producers of 4×4 tires in the world and this sector is highly relevant in the Middle East. During its participation in the Dubai International Motor Show, Cooper will be adding new products to its range in the region.